The Dior Summer Mix this year is of course bright and juicy. I love that they are each paired with Diorblush Cheek Creme. There are four new blushes which pair to nail polish shades, the fourth polish, Capeline 658, isn't pictured because it is a re-release of Pasteque. 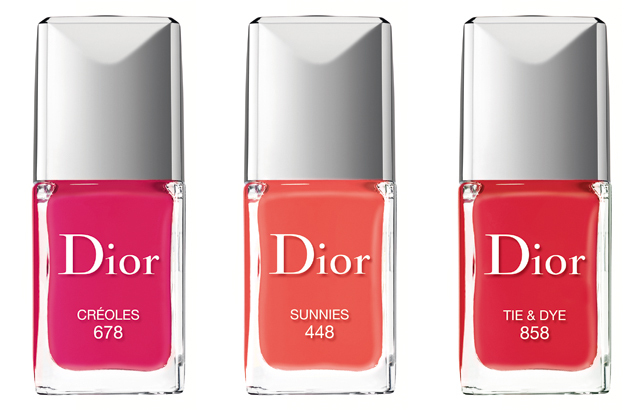 The Dior Summer Mix collection is available now at Dior.com and Dior counters worldwide. 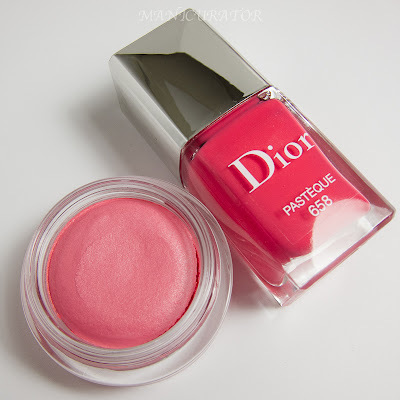 Vernis retails for $24 and Diorblush retails for $30. 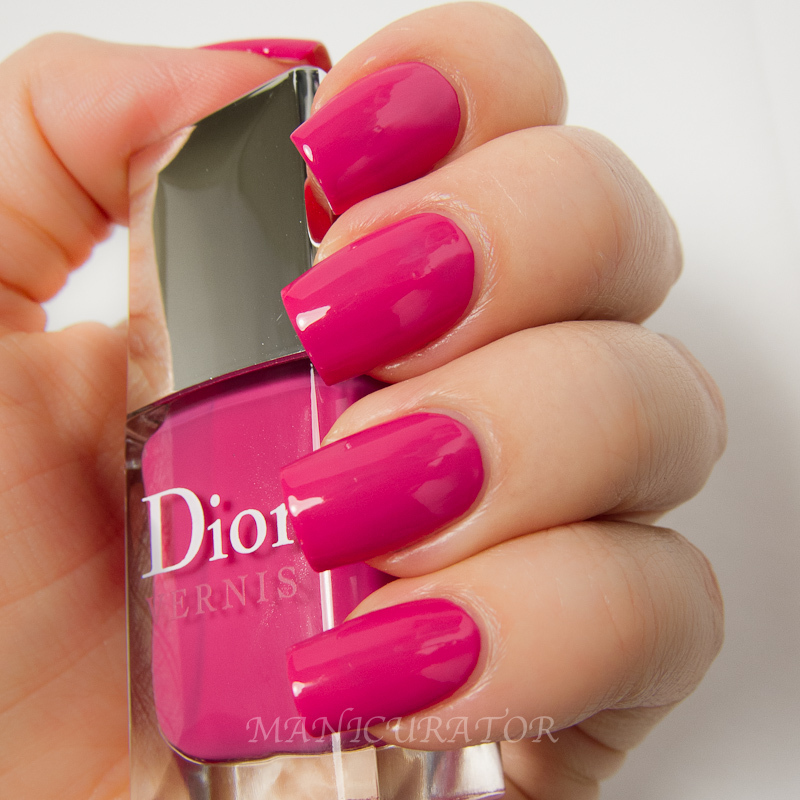 Dior Vernis Creoles (678) a saturated blue based hot pink. Flawless with two coats. All swatches are 2 coats with Dior Ridgefiller base coat and Dior Gel Coat top coat. I had a lot of difficulty getting these swatches to be color accurate. They sadly, all photographed incorrectly so I had to color correct in the editing process. I worked a long time at it, and hopefully they are true to life, but maybe not perfect. I apologize for that. I always do my absolute best to provide color swatches that are color accurate. 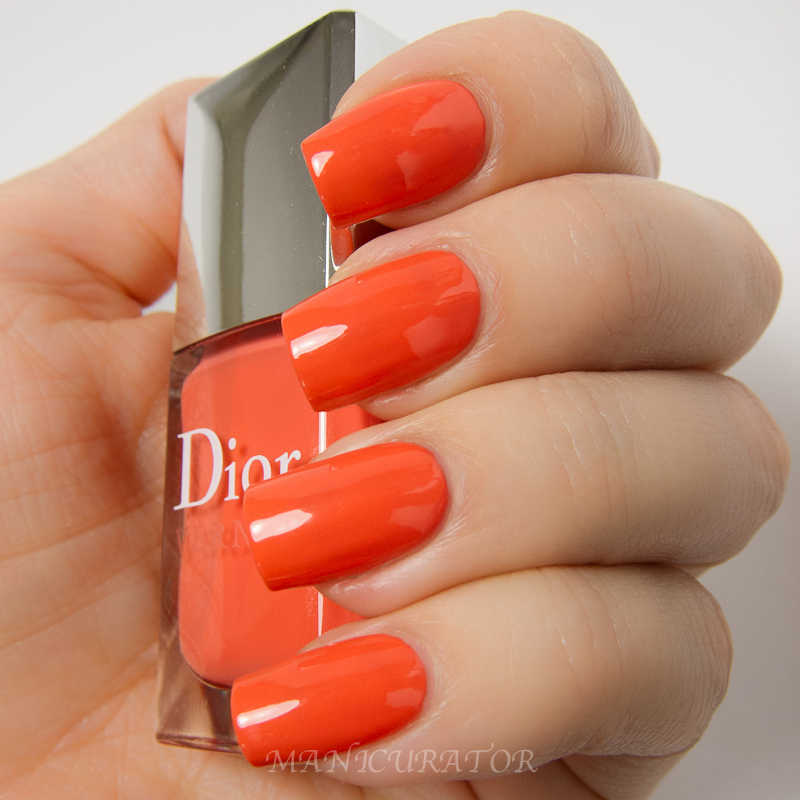 Dior Vernis Sunnies (448) a perfect apricot. 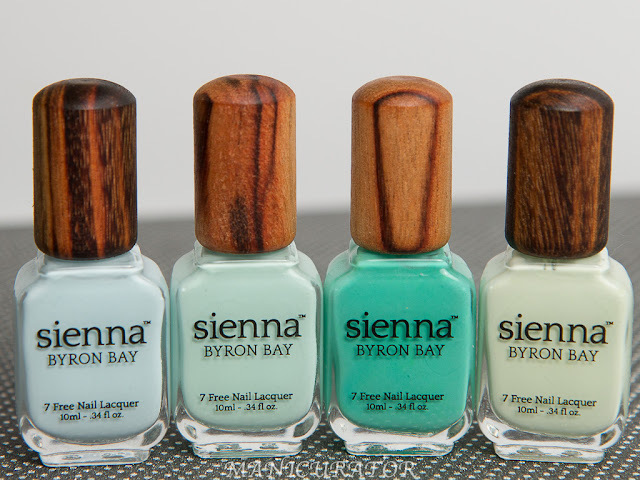 I don't own anything like this and it's a great addition for Summer nails. 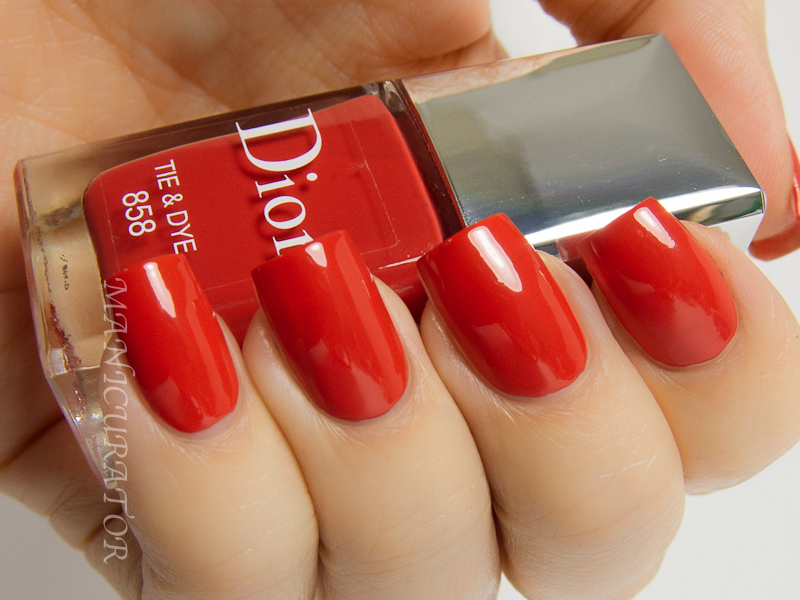 Dior Vernis Tie & Dye (858) a stunning coral red. 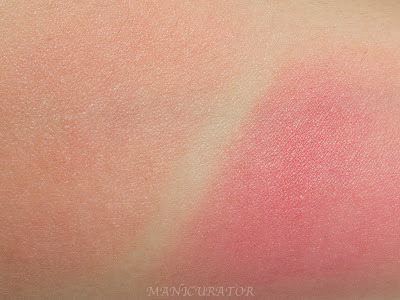 This one is actually my favorite of the collection, it applies like butter and gives regular red a run for the money with a pop of coral added in. 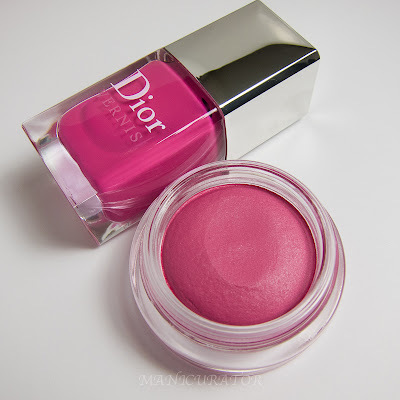 Dior Diorblush Cheek Creme in Capri a light pink and Pareo a bright blue based pink. 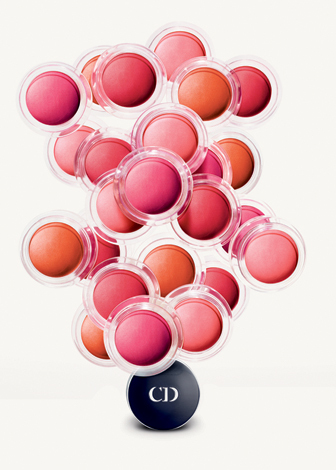 I recommend visiting Dior.com for color accuracy as my photos, as much as I tried, are not quite true to life. 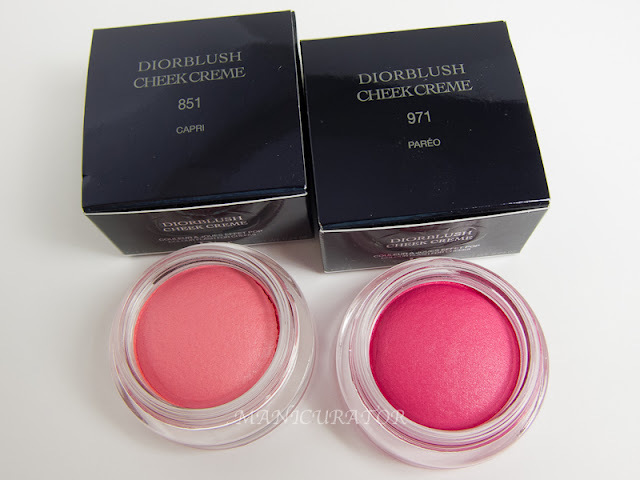 These creme blushes are ever so slightly mousse-like and apply very easily. 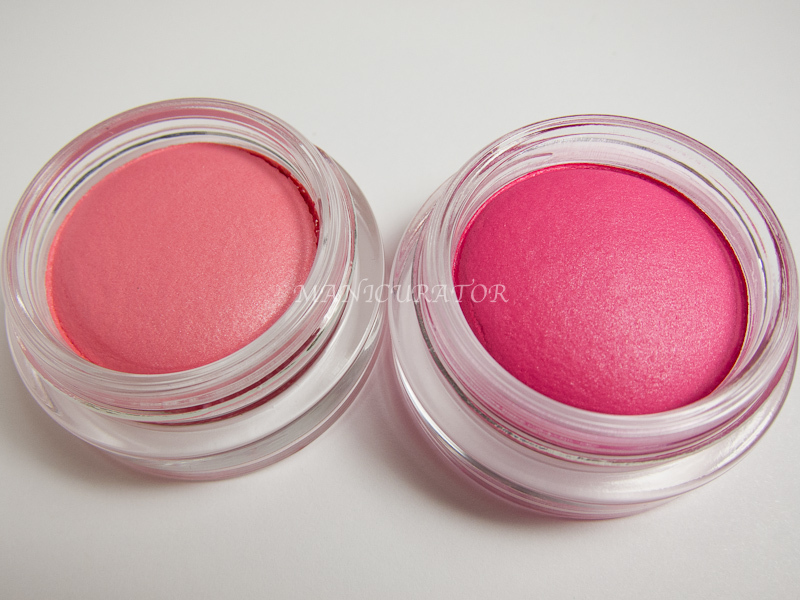 They are non greasy and easily buildable for a slight flush or a more saturated pop of color. I'm in fact, wearing Pareo right now and it gives a rosy glow like I've just spent an hour in the hot sun. I love it! Dior Vernis Creoles pairs with Diorblush Pareo and Dior Vernis Pasteque/Capeline pairs with Diorblush Capri. 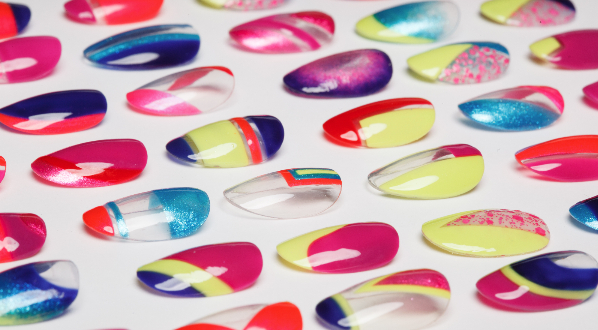 Who knew this Summer's trend would be matching nails and cheeks? I didn't but I sure do approve! Did you pick up any of these? 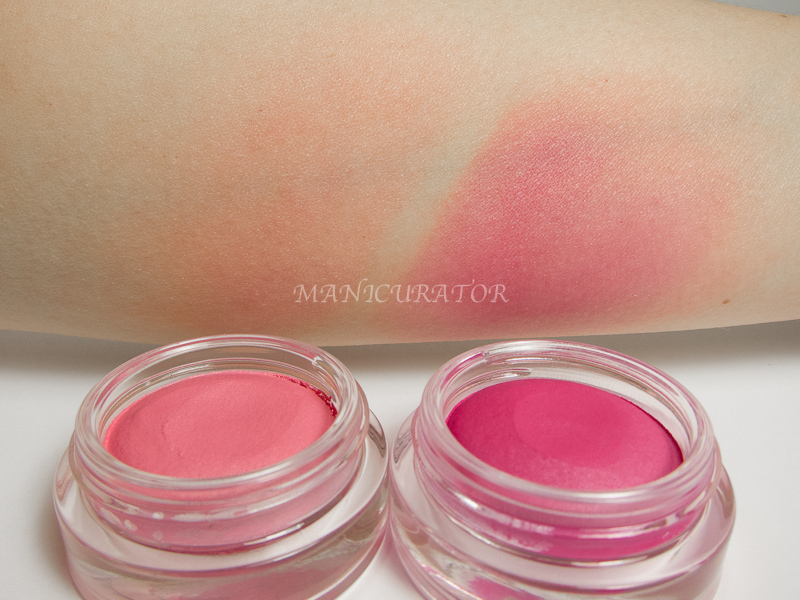 I like these blushes so much that I picked up the other two: Bikini and Panama! *Tie & Dye purchased by me, all other products provided for unbiased review consideration. oooh everything is so summery and girlie - love this collection!